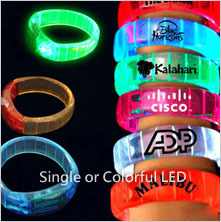 LED flashing bracelet, You will rock the party!!! We have different models of sound sensor led bracelet and remote controller led bracelet for option. 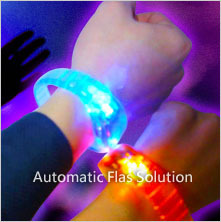 * Seven color or single LED flashes various colors designs. 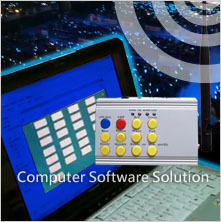 * Grip color can according to customer requirements color processing. * Color can be dyed according to customers' requirement. * Control by remote controller or manual control . 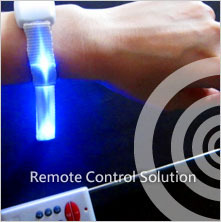 * 1 x remote control can control within 300 meters of the 3000 LED bracelet. 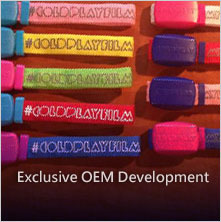 * Exclusive development, super bright in dark, shining makes outstanding, prefect gifts for concert or party. When you use LED bracelet with Computer-controlled wireless transmitter (with remote control software), the transmitter control distance will be 500M. It is under the control of all the received signals. LED bracelet can controled by remote controller, or sound sensor control. 1 x remote control can control within 300 meters of the 3000 LED bracelet . Just open the switch, LED bracelet will shine automatically. We are professinal at design for many different LED bracelet style. They have different fuctions to make you have fun in happy time. 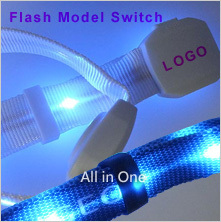 Single or colorful LED -with flashes various colors designs. You can choose different flash mode.